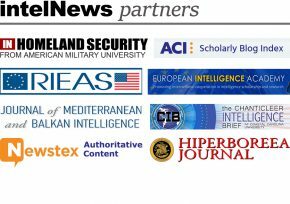 Is CIA collaborating with Palestinian spy agencies? Israeli agents of Shin Bet are guarding Palestinian Authority President Mahmoud Abbas and Prime Minister Salam Fayyad on their trips around some parts of the West Bank, Israeli newspaper Ha’aretz revealed last week. The report comes days after jeeps with agents from the VIP security unit of Israel’s secret service were observed escorting Abbas during his visits to Palestinian villages located in so-called “Area C”, a region of the West Bank that continues to remain under Israeli control, in accordance with the 1993 Oslo Accords. Both Palestinian and Israeli officials have confirmed this peculiar arrangement, which is bound to add to the animosity between the Fatah-controlled Palestinian Authority, which rules the West Bank, and Hamas, which controls the Gaza Strip. The Israeli government said that the same procedures are in effect when foreign officials visit Area C, and that it guards the Palestinian Authority President whenever he visits Israel.